Come join the first Native American WNBA MVP Shoni Shimmel of the Atlanta Dream and her sister Jude for an Osage Nation sponsored basketball clinic in Skiatook on Aug. 1. The clinic is open for 100 Osage students from grades 3-12th (students entering third grade are eligible). 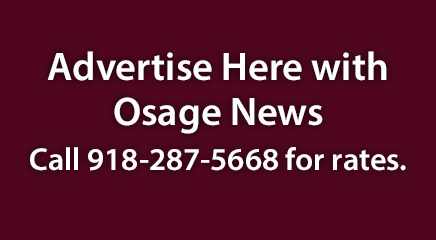 Parents can obtain a registration packet from the Osage Nation Education Department. Proof of tribal membership is required. The clinic will be held in the Skiatook Multipurpose Activity Center, located at 1300 W. Maple. Participants will learn basketball basics; learn about the Schimmel sisters story of being raised on the Umatilla Indian Reservation in Mission, Ore., playing basketball for the University of Louisville Lady Cardinals and Shoni’s rise to the WNBA. Jude is still playing for the Cardinals and will be a senior this year. “They have an inspirational story coming from a remote reservation in Oregon, I wanted them to share their positive family story of hard work and dedication with our Osage community and our youth,” said Osage Congresswoman Angela Marie Pratt. “And not just the youth, but their parents. Their story of encouraging their children to follow their dreams was a great inspiration. “We’re strongly encouraging parental involvement,” Pratt said. Participants must come dressed appropriately for the clinic – basketball shoes, shorts, t-shirts – time will be set aside for photos and autographs with the sisters. Shoni and Jude’s story has captivated the Nation in which the sisters appeared on HBO’s Real Sports with Bryant Gumbel in March of last year. Native Americans from across the country follow the Schimmel sisters and their careers, attending their games and recently Shoni’s Atlanta Dream jersey was the highest selling jersey in the WNBA. Shoni was the first Native American woman in the WNBA to win MVP of the All-Star game, and as a rookie. 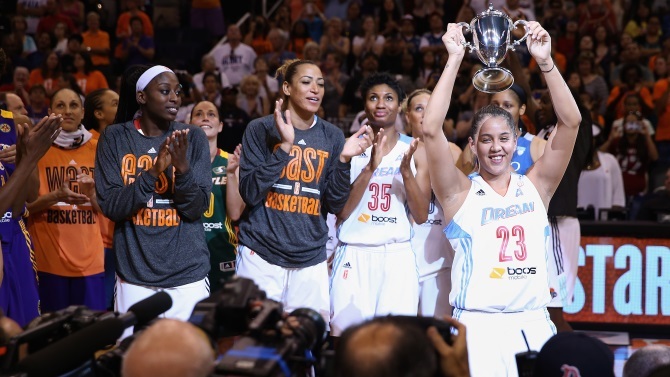 The Atlanta Dream will face off against the Tulsa Shock on July 31. To sign up for the clinic, contact Andrea McCall at the ON Education Department at (918) 287-9713. The community is welcome to attend the event.